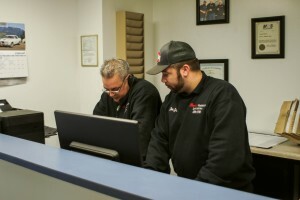 Joseph Rohrer Sr. and Joseph Rohrer Jr.
Roma’s Radiator Specialties specializes in the service and repair of automotive heating and cooling systems. Founded by Mike Roma, Sr. Roma’s has been serving the Stark County area for over 30 years. General Manager Joe Rohrer Sr. has been at Roma’s since the beginning. In 2016 Joe’s son, Joe Jr. took over ownership of the business after over 9 years of service in the Air Force. Family owned and operated, the Rohrer family has called Stark County home since 1966. 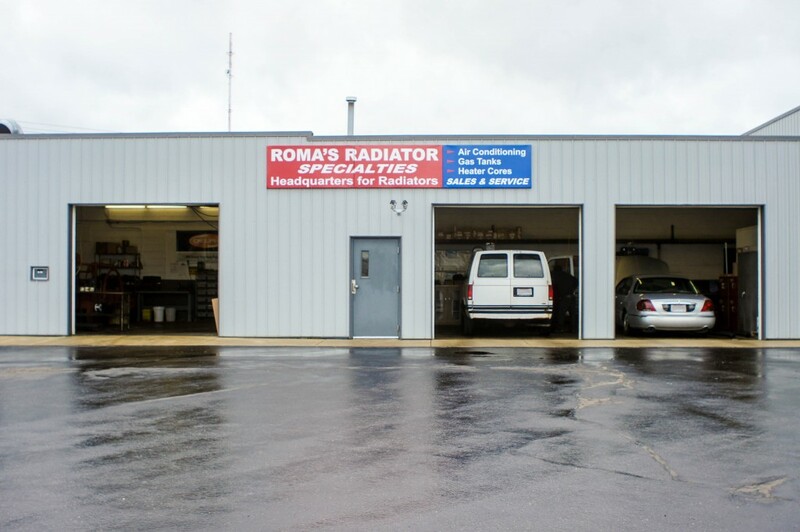 Roma’s Radiator Specialties provides repair, replacement and sales for radiators, condensers, belts, hoses, heater cores, gas tanks, water pumps and gaskets. With an extensive inventory of parts in stock, and same day delivery from our suppliers, we can service your vehicle fast and efficiently. Roma’s also has the ability to repair or recore hard to find industrial and antique radiators and oil coolers.